Happy New Year!!! It’s a brand new year. The possibilities are endless. If you’re like me, a new year means new beginnings, a fresh start. All the things you did not achieve last year are now front and center and you’re optimistic that this will be the year you’ll see them realized. Moving my marriage forward is always on my list. Every year, I vow to do better, to be a better spouse. For me that means I need to be more supportive and more available to my husband. I need to be more patient, giving him the time and latitude to get things done instead of stepping in and taking care of it. I need to listen more, be intimate more, spend more quality time. I could go on and on. And you know what, I embrace all of it. See I know I’m not perfect. I’m a work in progress individually and as one-half of my union. There will ALWAYS be areas for improvement. Understanding and embracing it with a willingness to take steps to be better will always translate into moving my marriage forward. “Be the Light” was the message my pastor preached for New Year’s Eve service. Matthew 5:13-16 compels Christians to not only be the salt of the earth, but to be the light of the world. As my pastor explained the concept, he kept repeating the phrase, “darkness flees from light”. This really resonated with me, as I never really thought of “light” in that way. Yes, light breaks up the darkness. Yes, light brings visibility where there is none. But this concept of light causing darkness to flee was mind-blowing to say the least. I immediately applied this concept to my marriage. Darkness became a metaphor for all the obstacles and issues that my husband and I face in our marriage. Light became the cure. I reasoned that if I could become the Light in my marriage, then those obstacles would be overcome, the issues resolved. They would “flee” if you will. I vowed then and there that I would be in the Light in my marriage. As the Light I would be patient, causing the frustration my husband experiences from my impatience to flee. As the Light, I would listen instead of trying to finish my husband’s thoughts, causing my husband to feel heard and his opinion and thoughts valued. As the Light I would put anyway my laptop and electronic devices after dinner, filling up my husband’s love tank with quality time. By choosing to become the Light in my marriage, I chose an intentional way for me to affect change in my marriage. Yes, there are areas where my husband can improve, but this was not about him. It was about me and what I could do for our marriage. So, this year I will be the Light in my marriage. Will you? 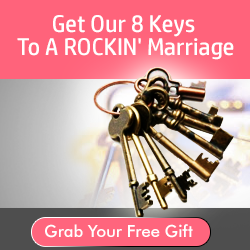 Are you on fire for marriage? We are. Join our movement. Together, let's tell the world, show the world that MarriageROCKS!!!!!! Having a Successful Marriage Is Up to You. Now I know how it feels to be cheated on or be in a relationship with a cheater.this was so sad after I Contacted (hackinloop6 @ g m a i l . c o m) to help me hack my husband’s phone because I want a know his activities and see who he chat with.. All this was because I was suspecting him and in less than 4hrs( hackingloop6 @ g m a i l c o m) was able to hack his phone and gave me access to all his phone activities.. It was sad to discover that he has been cheating on me with my cousin sister, so all u need to do to know the truth about your relationship is to contact a cyber genius (hackinloo6 @ g m a i l . c o m)you can call or text +1(712)292-2655. he shows proof before payment. i was able to spy on my cheating ex phone without finding out.....it really helped me during my divorce ...you can contact (hacksecrete@gmail.com) call or text him on +1(617) 402-2260 for spying and hacking social networks, school servers, icloud and much more,viber chats hack, Facebook messages and yahoo messenger,calls log and spy call recording, monitoring SMS text messages remotely,cell phone GPS location tracking, spy on Whats app Messages,his services are cheap.. and please tell him i referred you to him he is a man with a heart of GOLD.